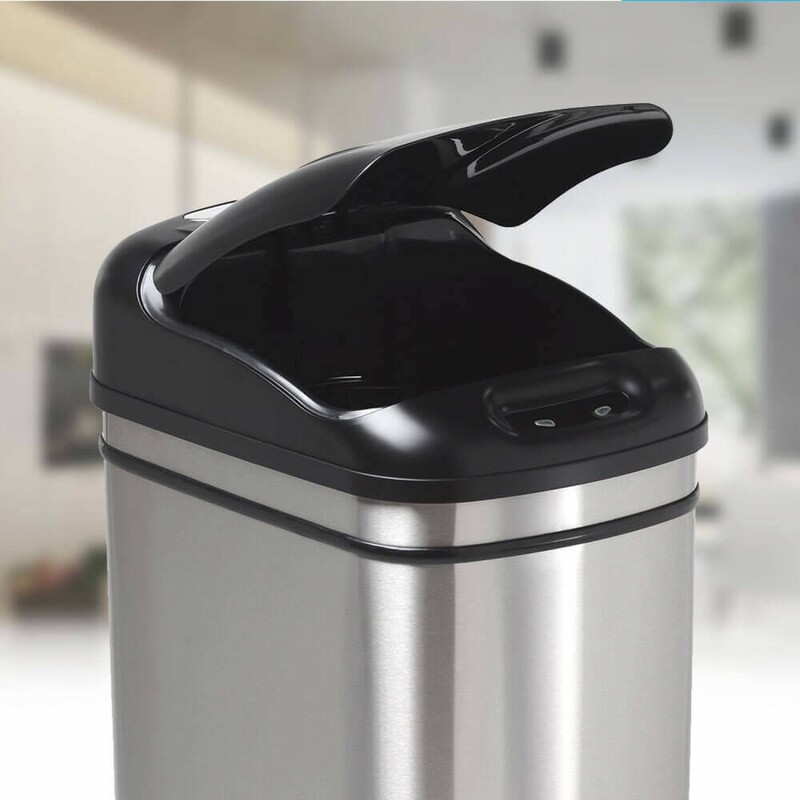 The 42L slim kitchen bin was designed to eliminate the need to touch - It uses patented infrared sensors to open and close automatically. The elegant body is made from brushed stainless steel with smooth tapered lines which ensures bin liners never get stuck. Our state-of-the-art sensor slim bins for kitchen come is a wide range of sizes, and all of them are equipped with our innovative sensors which use infra-red technology to detect and respond to movement. When the sensor detects your hand or the proximity of whatever you want to put in the bin, the lid of the bin opens automatically. In three seconds, unless you choose to manually override the sensor using the open/close button, the lid closes tightly, keeping the waste securely inside. This advanced technology makes an everyday activity, in this case using the bin, easier and more hygienic. The hygiene benefits of the sensor bin are made even stronger with the development of our innovative bag retaining ring. This is a ring that fits securely inside the bin to hold the bin liner in place and keep it there until you want to change it – at which point you will find the bag easier and quicker to change than your average bin. The bag retaining ring also means that you don’t have all those untidy ends of the bin liner bunching up or sticking out of the bin. The result is a bin that works better in terms of efficiency and hygiene, and looks better at the same time. Looks are important, and our range is designed with modern, stylish lines and a quality finish so that it fits into any home or workplace. The stainless steel used is premium grade, the best quality, and is finished with a brushed look that gives a soft, high-end look. A 42 litre slim kitchen bin is the ideal size for many applications. 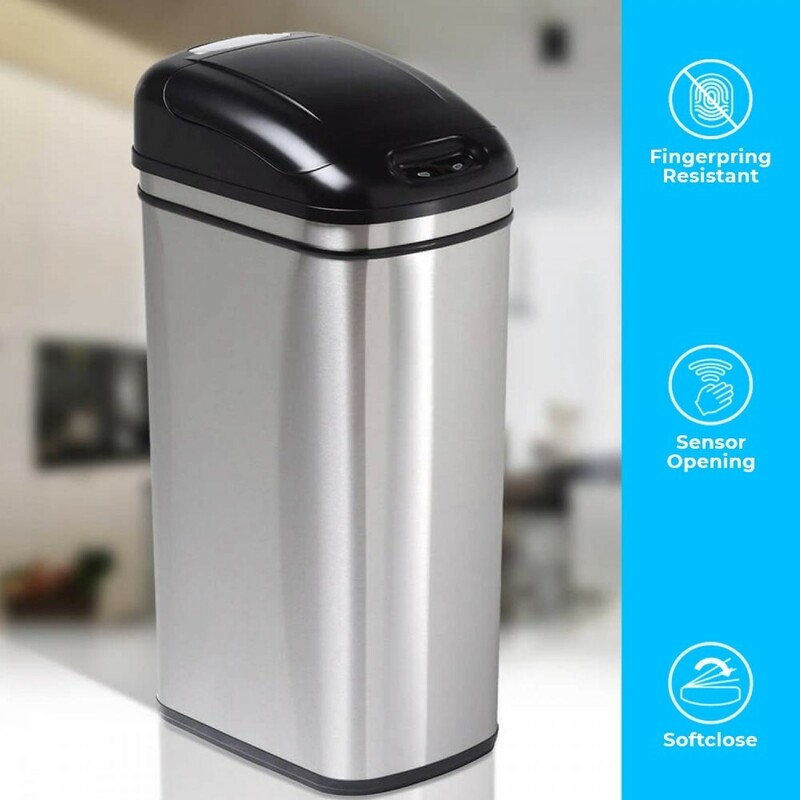 If you are looking for a bin for your home or workplace, the sensor feature and bag retaining ring give you the hygiene, efficiency and ease of use that will serve you so well in any context. There are a range of other sizes in the sensor bin range, but the 42 Litre is a particularly versatile option; large enough to cope with a fair amount of waste yet compact enough to fit into the average room. 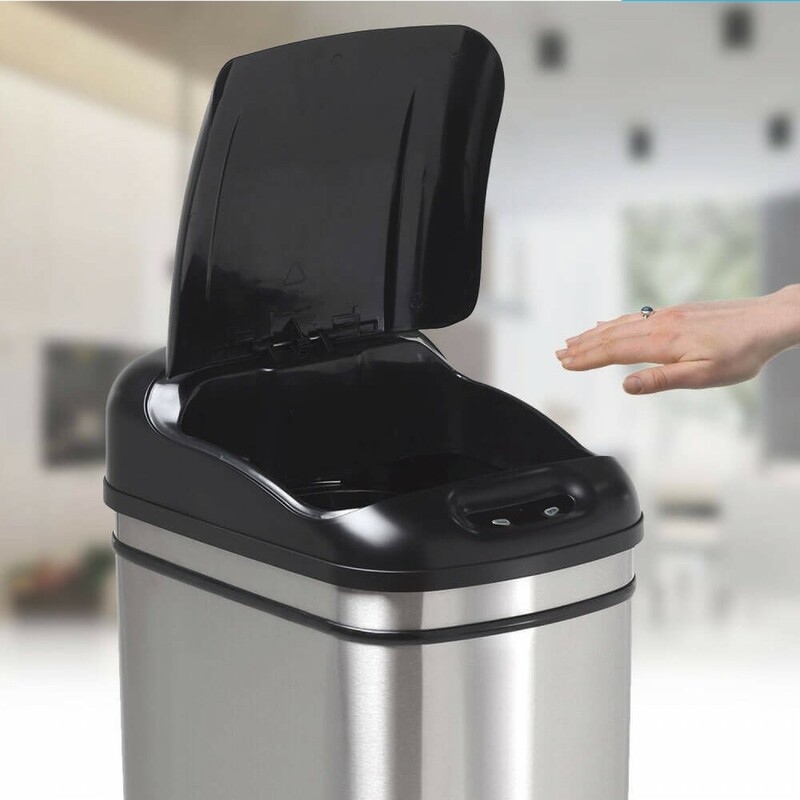 If you are looking for a slim kitchen bin for a high pressured environment where it is essential that waste is managed well, such as a health or medical context (doctor’s surgery, hospital, dental surgery, veterinarian practice or cosmetology salon) then the sensor bin is an ideal choice. It is however, equally suitable for settings where it is to be used by those less able. Sensor technology has been revolutionising the lives of the less abled since the first sensor operated products came on the market. Similarly, sensor bins are easier and more hygienic (not to mention fun!) for children to operate safely.